Your search for a new home has led you to the reality that the home you are looking for doesn’t exist. Building your dream home is sounding like a great idea but you don’t know where to start. A little information may help you to narrow it down and focus on what’s really important. Knowing what size, style and lifestyle you desire for your new location will help determine which type of property would be a good fit. Know your budget and qualifications for construction financing. The land purchase is generally not more than 28% of your total value of the completed home. Let’s take a look at these different types of locations and see how they fit your vision of homeownership. Urban: The downtown area with quaint homes and city sidewalks has become a popular choice as homeowners want to be within walking distance to area coffee shops, restaurants and specialty boutiques. In this location you will generally be building a smaller home. Many cities have strict zoning requirements that steer away from McMansions being built on tiny little lots which can overpower smaller homes. 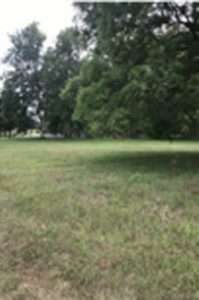 Contact your city building department to see what the lot setbacks and size restrictions are for lots in the city area you are interested in. Suburban: Here you will typically find larger lots where you can build bigger homes within approx. 10 minutes of schools and shopping centers with relatively easy highways access. Some lots are found in existing subdivisions, however don’t forget to check if the subdivision has homeowner association fees. Sometimes you can find outlying parcels along main roads and land splits from larger parcels of land throughout the townships. City municipal services are readily available and taxes are usually less than within the city limits. Rural: Many outlying areas are zoned as residential and/or agricultural zoning for large farm like acreage parcels. Most land here will not have access to the standard municipal services such as natural gas, city water and sewer. You will want to make sure you have the adequate tests to verify these systems will be able to be installed on your parcel before you finalize the offer to purchase. There are many options as to what you can build on these parcels for size and style. You may want to enlist the services of a local agent who knows your area. Agents can give you information and sources to help you with the processes of testing, surveys, and help with general information gathering on your site. Check out sites like Zillow, Realtor.com and Trulia for some of the more recent listings. If you have identified a parcel you are interested in buying, we would be happy to discuss your budgeting and your home plan ideas to see if you are on the right track for your dream home. We could also help your find that perfect parcel of land for your new home!